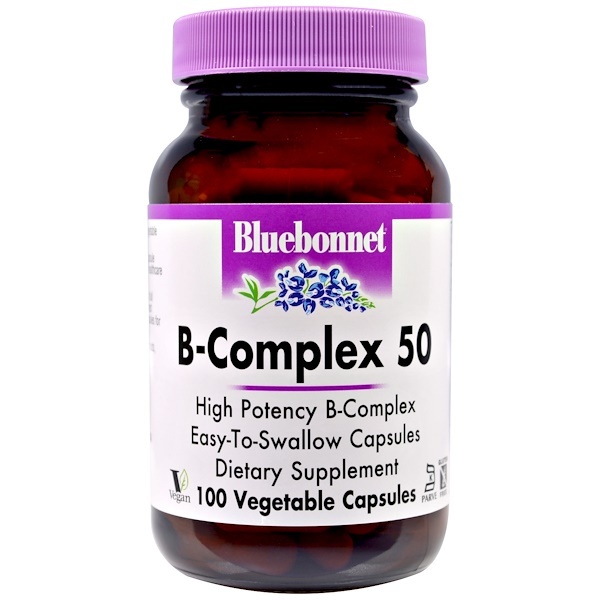 Bluebonnet's B-Complex 50 Capsules provide a full spectrum of high potency B vitamins in their purest form. Available in easy-to-swallow vegetable capsules for maximum assimilation and absorption. 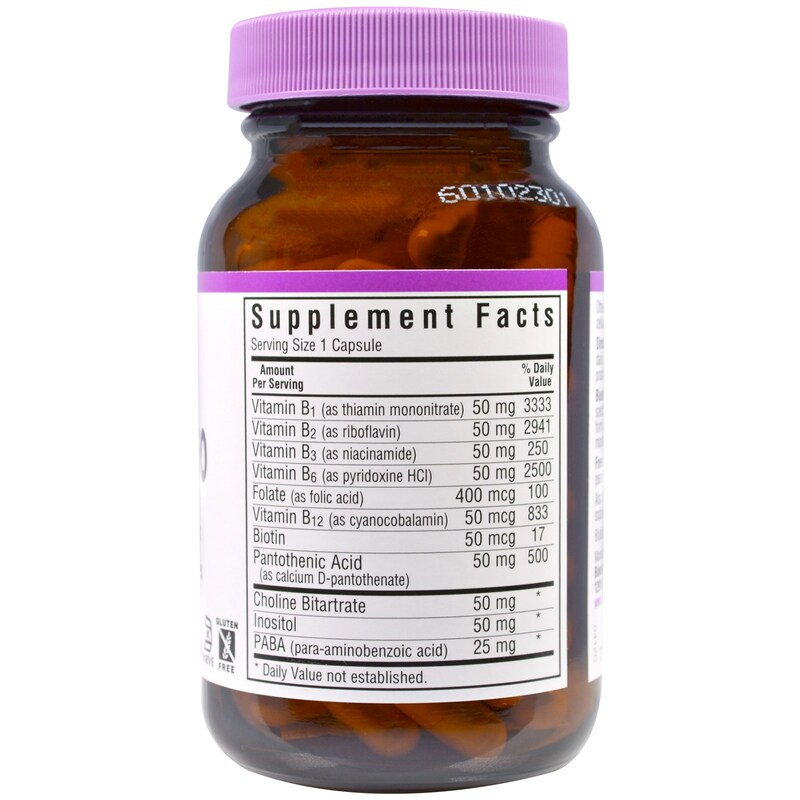 Kosher vegetable capsules, vegetable cellulose, vegetables magnesium stearate.